The simulation illustrates administrative processes in a hospital to the participants in a hands-on descriptive way. The focus is on the most important economic parameters in hospital management i.e. occupancy-rates, average stay-duration. They serve as an element of a willingness to change, to understand the increasing costs involved and performance requirements. 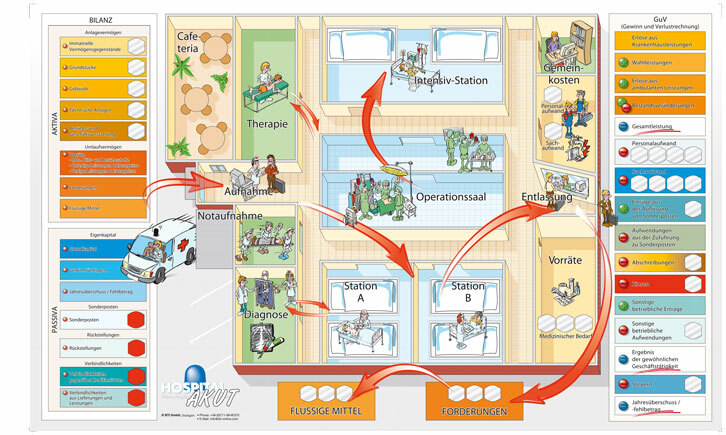 The business simulation Hospital is a crash course in financial and administrative know-how within a hospital.